Bosasa never paid me: Mantashe - SABC News - Breaking news, special reports, world, business, sport coverage of all South African current events. Africa's news leader. 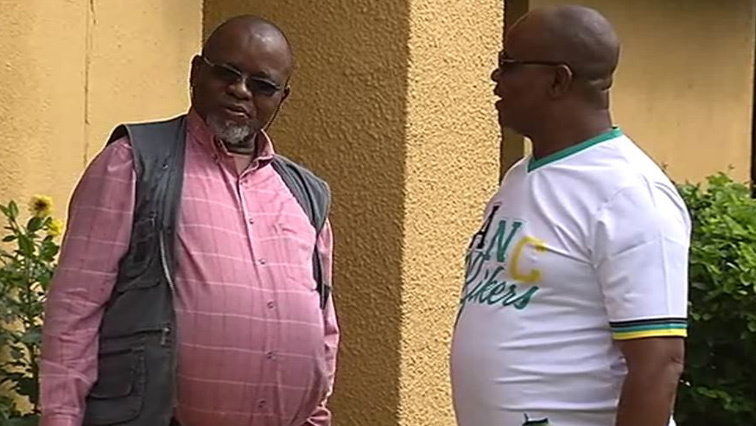 African National Congress (ANC) chairperson Gwede Mantashe has once again dismissed allegations that Bosasa paid for security upgrades to his Boksburg home. Mantashe invited the media to his property to view security features. This follows the testimony of Bosasa employee Richard Le Roux at the Zondo Commission. Le Roux testified a team of technicians installed security upgrades on three of Mantashe’s properties. Mantashe showed the media security cameras, but denied the installation of other features. He says the upgrades at his Boksburg home were organised by the ANC security team, and paid for by himself. The installations were done when Mantashe was ANC secretary general, following a number of burglaries at his home. “One of the things I wanted to demystify is that there must be no attempt to talk about an electrical fencing, so there’s no electrical fencing here, it has never been here. Secondly, there has never been an alarm system, it is not here. There has never been an intercom, if you want to come here, you come to this small gate – if we are sleeping you throw a stone on the roof for us to wake up. That’s what you do, you shout or if you have a car you hoot we open for you that’s it,” explains Mantashe. Mantashes says he will appear before the commission investigating state capture to clear his name. This entry was posted on 09 Feb 2019,01:35PM at 1:35 PM and is filed under Politics. You can follow any responses to this entry through the RSS 2.0 feed. Both comments and pings are currently closed.